The Pete Holmes Show got 80 episodes on TBS. Per a very personal post from Pete Holmes himself, the variety/comedy/interview/sketch/whatever show is now over and will air its final episodes within the next month. The comedy nerd world has been both insanely good and insanely bad to Pete. He’s one of the biggest comedians that your parents probably don’t also know, but he’s also the target of a metric ton of hate by way of his sometimes-infuriating-but-always-interesting podcast You Made it Weird and his career as a baby that sold insurance on television. If all you know about Pete Holmes is that he has a podcast where he sometimes talks about astral projection and healthy juicing for upwards of two (or three) hours a week and that he sold insurance on TV, sure, why did they give that guy a show is a reasonable question. Every episode wasn’t always my favorite — though part of the joy of Pete Holmes is his persona that he sometimes calls “fun dad,” so he’s in on the joke that he’s sometimes just so much — but I watched every single episode because I was so in awe. 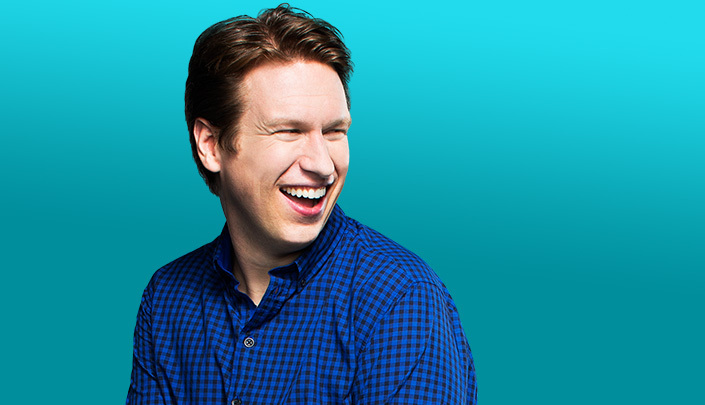 Pete Holmes got to do sketches based on in-jokes and interview segments where he clearly ignored publicists. He got to make what “The Pete Holmes Show” without the italics would be if he had his say. He made his show. This week we passed 10,000 total hits on Reading at Recess. This week we hit 175 unique posts from nine different people. Despite what I’d call “success,” I still almost gave up. I started Reading at Recess earlier this year to have an outlet to write about culture. I figured that the world didn’t necessarily need another recap of Louie or an ode to Walter White. That said, I think there’s space for what we write about Louie and our thoughts about Walter White’s opposite on Fargo. I think there’s room for an Obama campaign worker’s review of Mitt as oddly humanizing. I think there’s room for covering things everyone else is talking about, like How I Met Your Mother‘s weird ending and Archer‘s lull of a season and why half of the audience of Girls seems to be watching for strange reasons. At the end of the day, this is just a blog. It’s just a place that I hope you spend five minutes of your website time every weekday. But if it’s more than that, it’s somewhere you might learn something about feminism and parody in anime, or art design’s influence on gameplay in video games, or about data’s influence on politics. What it hasn’t been is consistent. We’re all over the place. We’re a shotgun, not a sniper rifle. When you watch The Pete Holmes Show, you’re looking at what Pete wanted you to see. When you’re here, you’re kinda seeing something that’s far too unfocused. We’re taking Thursday and Friday off to regroup. When you come back on Monday — and I do hope you come back on Monday — you’ll see something that looks a lot like what you’re used to, but better, more consistent, and more focused. You’ll see our real show, because it’s what we wanted to show you from the get-go. Want to write for us? We’re accepting contributors! Reach out through our submit page.